I've had my 10/22 for awhile now. It's a bunny buster from Christian in Nelson, I bought off trademe. 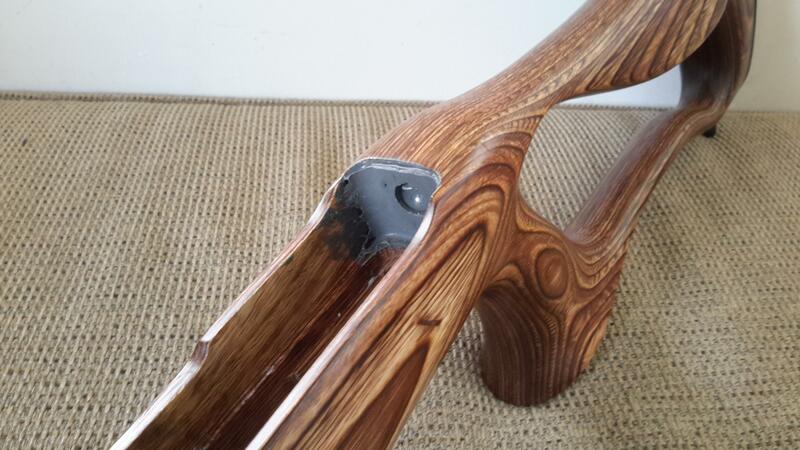 Got a Boyds stock for it but never been happy with the fit/inletting. The barrel was not central in the barrel channel and there was some movement at the rear of the action. Finally decided to do something about it. After a bit of interweb research I decided on a plan. JB weld as a bedding compound. 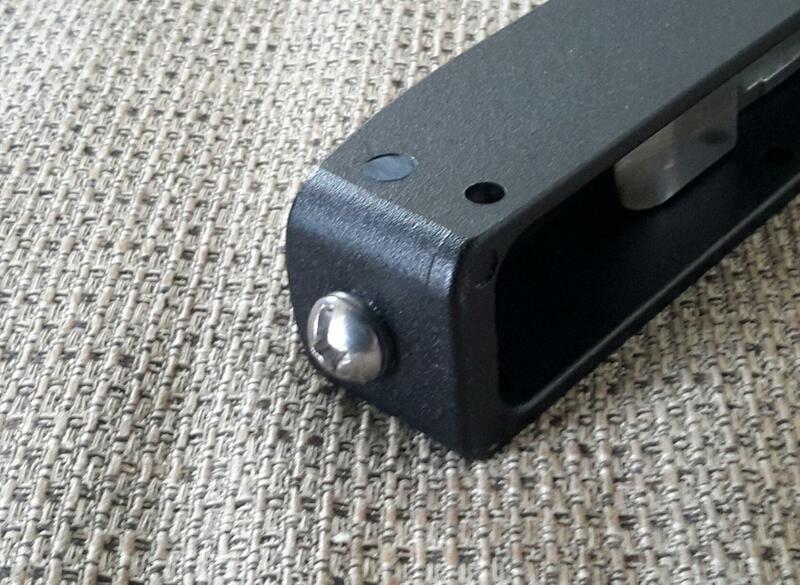 Drilled and tapped a hole for a 6mm round head bolt in the back of the receiver. 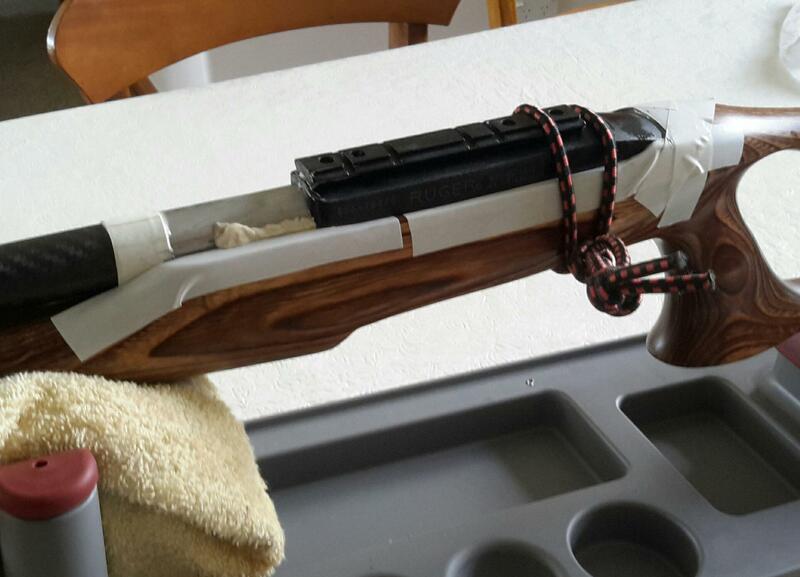 Dremel to create a cavity around the bold head, modelling clay to fill holes in receiver and create gaps where I didn't want compound, tape around barrel to centre it and mask the top of the stock. I used shoe polish (3 coats to be sure) as a release agent. Mixed up the compound, applied the compund to the stock, held my breath and pushed the barreled action into the stock/compound. I held the action in place with the action screw and a shock chord bungee at the rear of the action. Now the nervous wait begins. Loosening and retightening the action screw every now and again. I had greased the action screw to be sure any compound which may have got on it wouldn't stick to it. After about 7 hours it was time to see if I had stuffed it or not. Undo the action screw, remove the bungee, a bit of pressure and it popped straight out. Relief! Not even too bad of a job. Just a little trimming and sanding to do. Getting the amount of compound right was the hardest thing, I was probably a bit light at the front of the action. Cleaning all the clay and polish of off the action and barrel was probably the worst part, that and the nervous wait. Left it to harden over night. 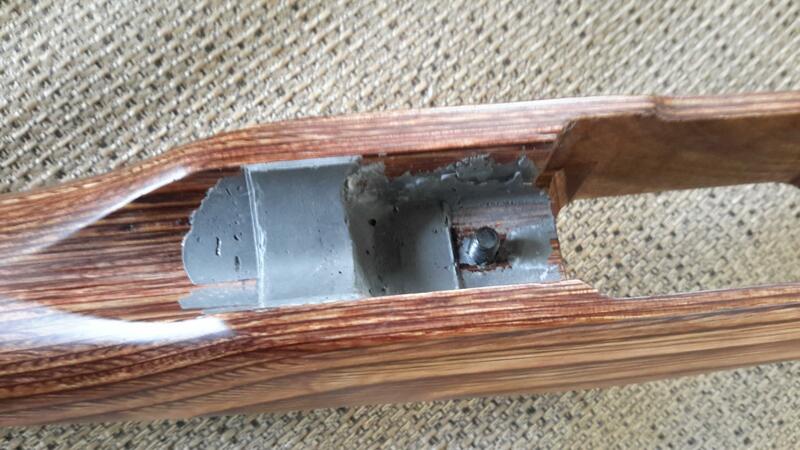 It is a little rough in places but this is not visible when the rifle is assembled. The action is really snug fit in the stock now. Just got to put the scope back on and go sight it in again. Hopefully it shoots better than before. 7mmsaum, StrikerNZ, kimjon and 6 others like this. Still seems to work OK.
Shootm, 308, Beaker and 2 others like this. Yes, I think it is. I'm no target shooter but I got about 20mm group at 50. Struggled to get a inch before. 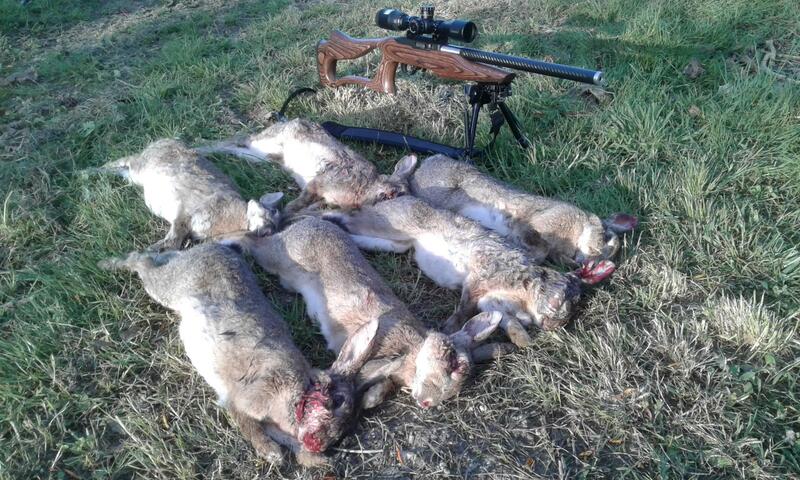 That's shooting off a bipod in a paddock. Only shot it once since and just figured out yesterday it seems better if I lean a bit harder into it. It is a very light rifle which I don't think helps. I think with a better shooter it could do better. I've got a good bolt action 22 which I am more accurate with, but it's a heavier rifle. So I want to try different ammo, maybe try a bench and different rest? This one has a 12" barrel and I need to figure out trajectory to shoot reliably over 70m. I'm confident to 70m with this one but with the bolt gun happy out to 100m. So a work in progress (probably more for me than the rifle) but that's the fun bit. The guy who built the rifle suggested it would go best with winchester 40gr subs. But a few on here like cci so I'll give them a go as well.